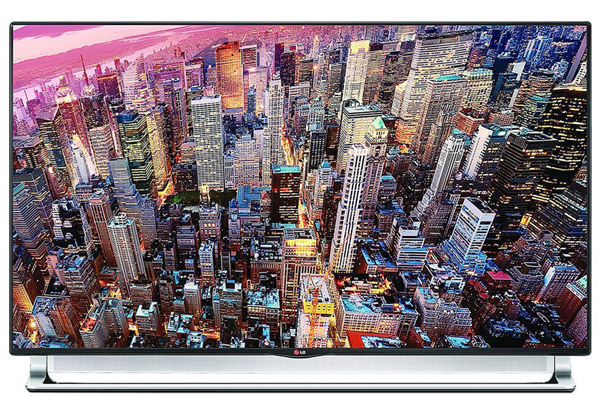 To take advantage of this festival season LG Electronics India today launched its, LA9700 55 and 65 inch 4K Ultra HD TV in India. Needless to say these Televisions will provide you with stunning picture quality and will cost you Rs.3,30,000 and Rs.4,50,000 respectively. Both of these new TV models feature 4.1 channels, 50W sound system that includes the Sliding Speaker. A powerful subwoofer is placed behind the screen for proper Bass effect. The sliding speaker can be programmed to silently slide out when the TV is turned on, and retract when powered off. The bezel has also been considerable reduced. The Picture Quality boasts of certificate of validation from Intertek and Underwriters Laboratories. These TVs deliver 8.3 million pixels per frame and to enable you to watch low pixel density videos, LG’-ULTRA HD Engine up-scales any video format into crisp, near-ULTRA HD picture quality without up scaling blur. Nano FULL LED backlighting will provide with enhanced and uniform contrast and brightness. The IPS LCD panel will provide for wide viewing angles which allow you to be comfortably seated any place in your room. FPR 3D technology provides a crosstalk flicker-free 3D viewing experience with 3D glasses. A 2D to 3D conversion engine is also present in these TVs. It also has a dual play feature which includes special glasses allowing two players to see only their perspectives simultaneously on the full screen at once without having to split the screen. LG’s Now on service will recommend you with content based on your viewing habits. These TVs also feature WiDi and Miracast for convenient screen mirroring, and LG’s NFC-based Tag On for convenient device pairing. You can use Skype for video calls, voice calls and chatting. These TVs are available for purchase on LG’s best shops across India. The 55 and 65 inch LA9700 Ultra HD TVs are priced at Rs.3,30,000 and Rs.4,50,000 respectively. Those looking for options can check Sony’s 65 and 55 inch 4K BRAVIA TVs.